Come and make your voice heard! 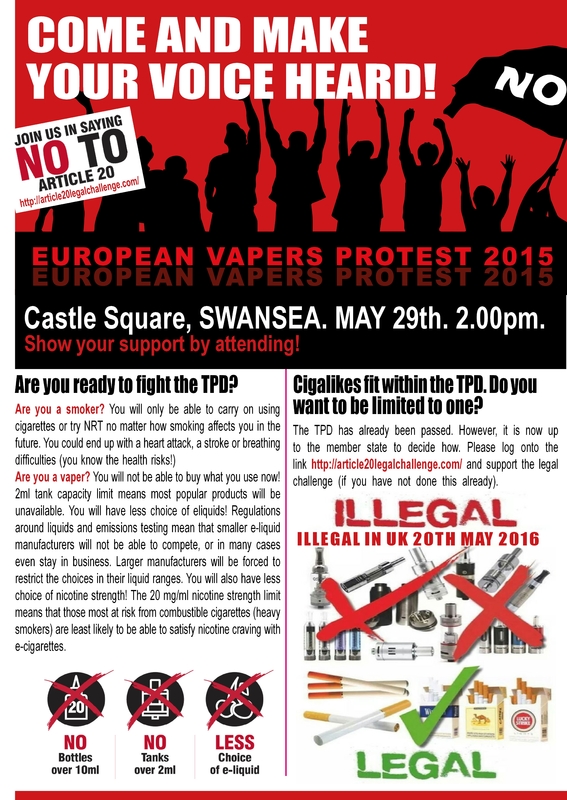 There are currently two events planned in the UK – London and Swansea. If you can’t get to either of those you could plan your own event. 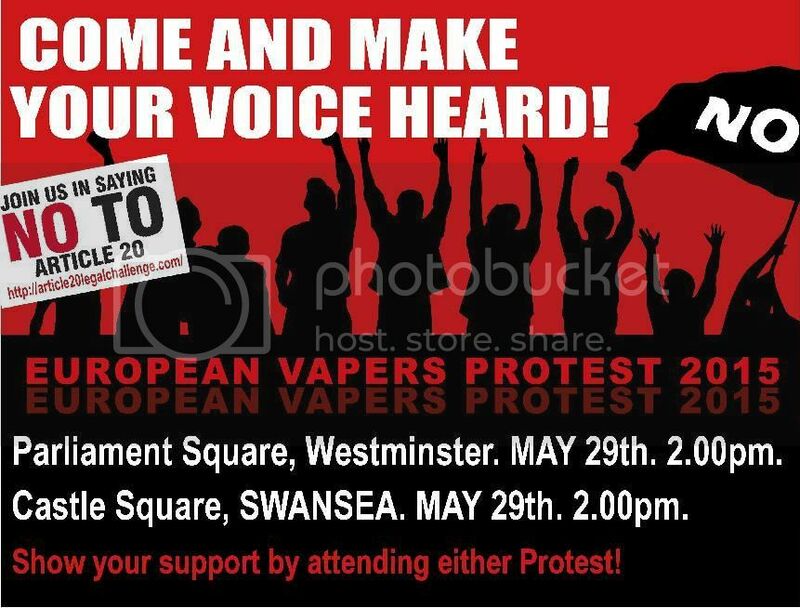 Please share the PDF links with as many people and vendors as possible – it’s vital that these events have good attendance. 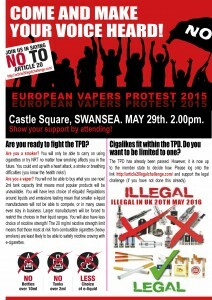 We need to tell our government it MUST SAY NO to TPD Article 20. There has never been a more important time to make a stand. 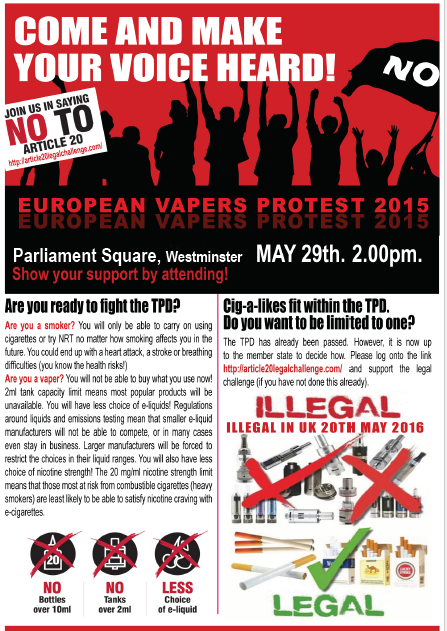 Our government isn’t left thinking Vapers in the UK don’t care. The word across the net, every little helps. 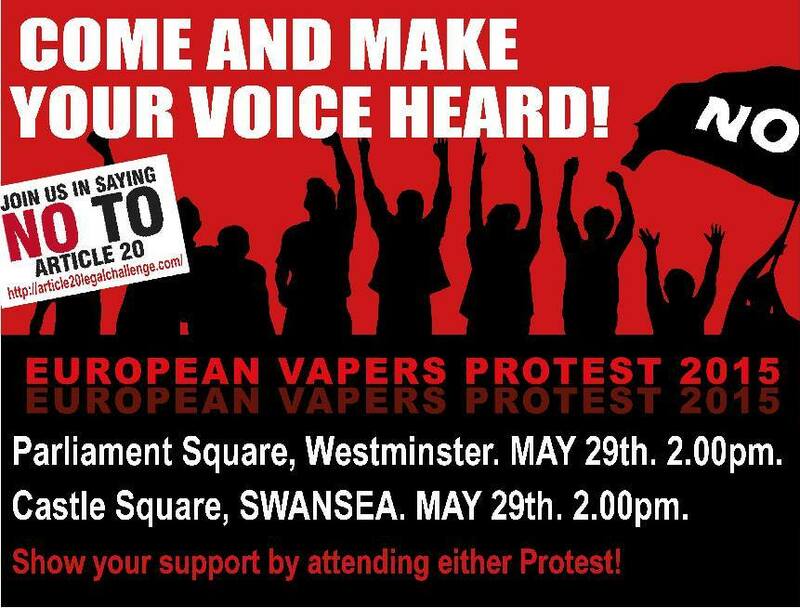 1 Pings/Trackbacks for "European Protest 29th May"